You have 1hour and 15minutes to walk and visit the active craters. There is a path that reaches the top where you will see smoke coming from the craters and smell strongly the sulfer. To walk the path it will take about 20-30 minutes per way and then return to the port where the boat will be waiting for you. 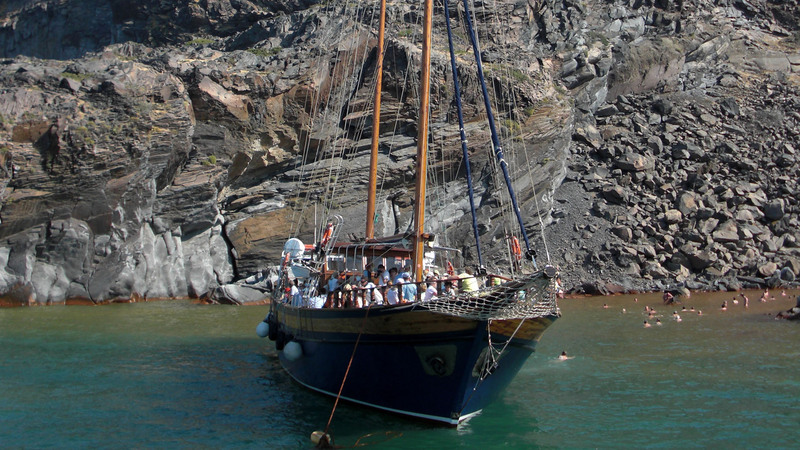 Finally the boat returns to the old port of Fira at 14.00 where it started the trip. 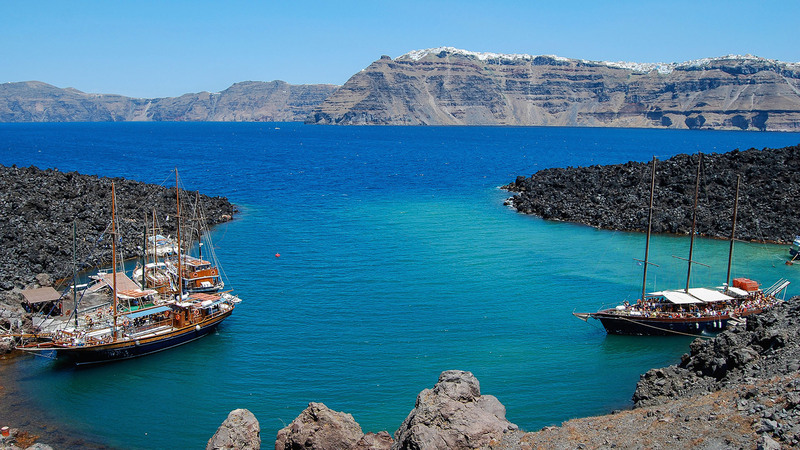 The shortest and the cheapest way to visit the Volcano in Santorini starts from the old port in Fira at 11.45 with final destination of Nea Kameni. 10 minutes are sufficient to reach the volcano.